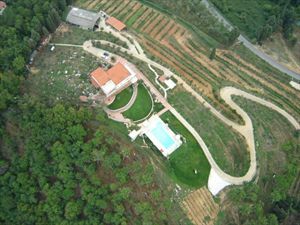 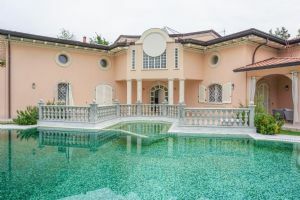 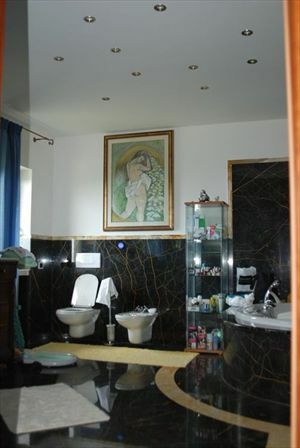 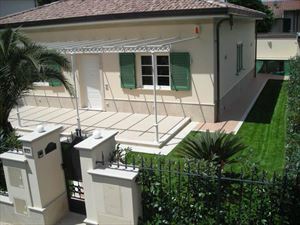 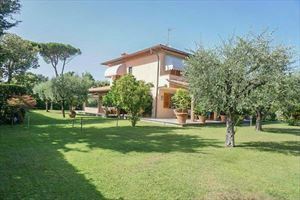 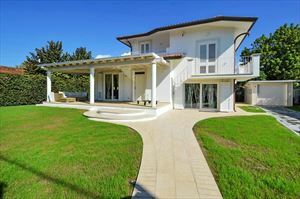 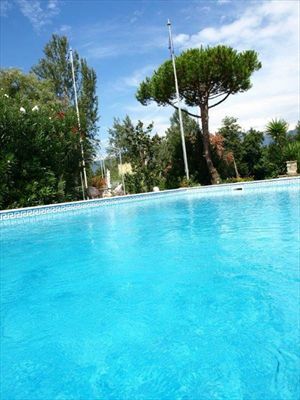 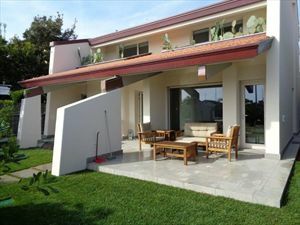 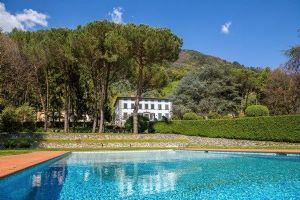 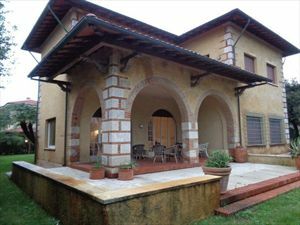 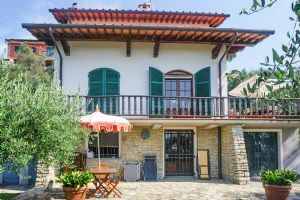 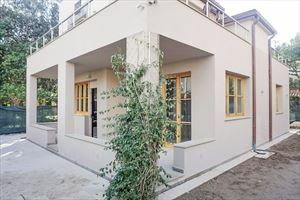 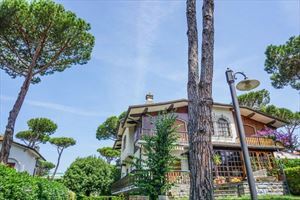 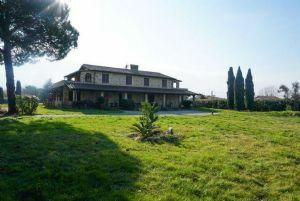 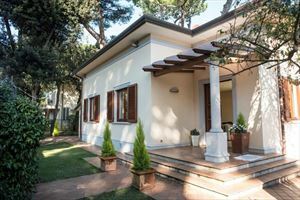 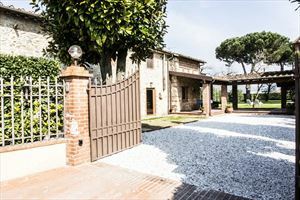 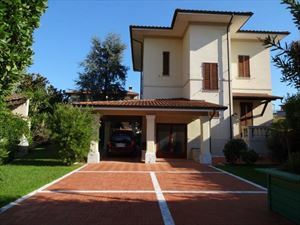 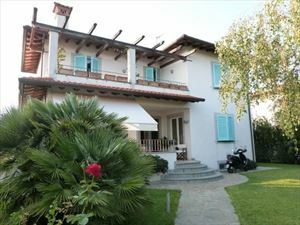 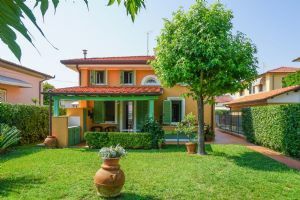 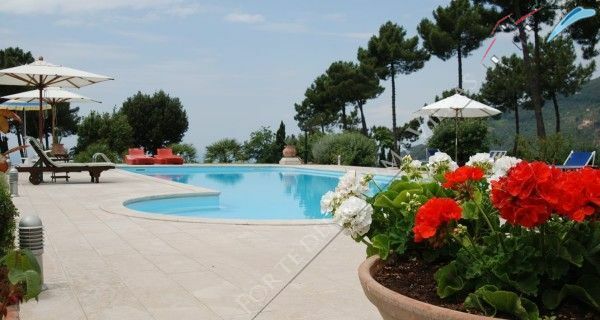 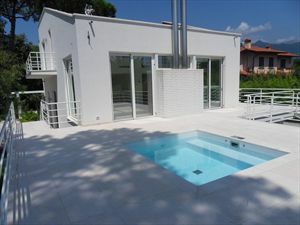 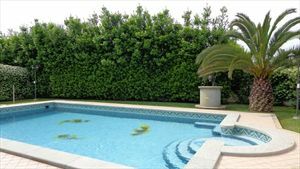 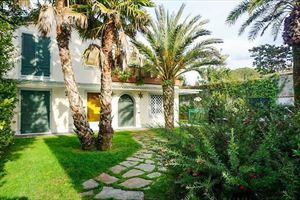 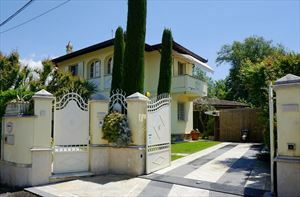 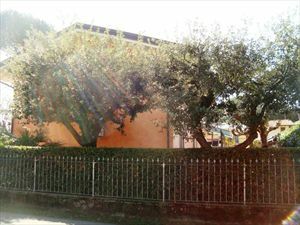 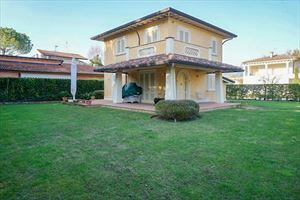 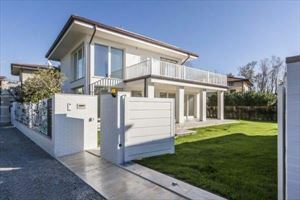 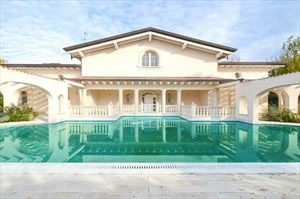 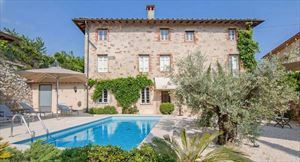 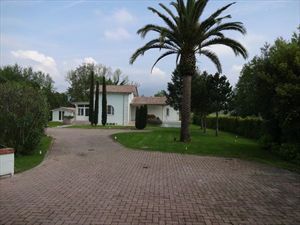 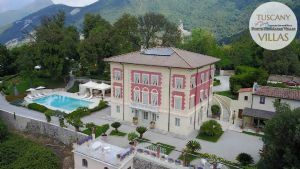 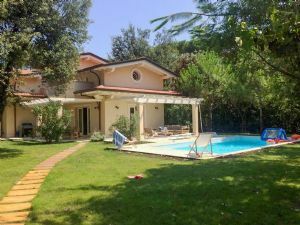 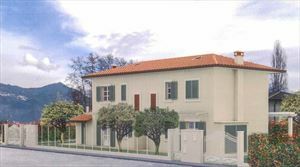 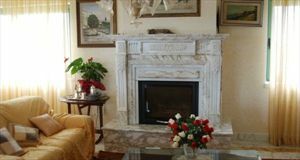 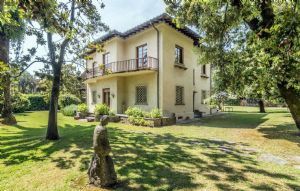 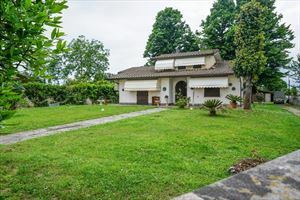 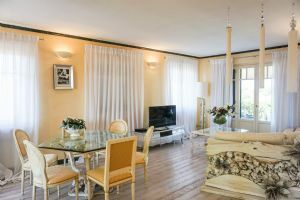 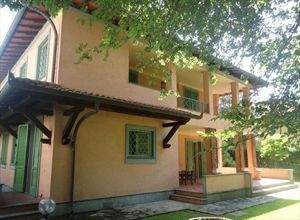 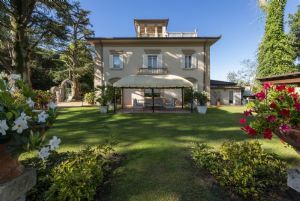 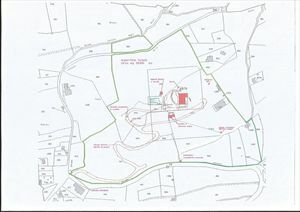 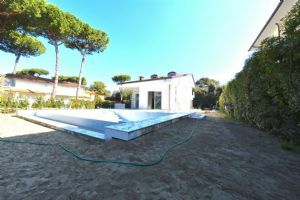 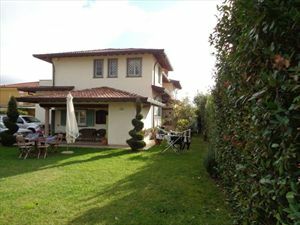 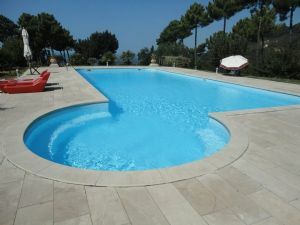 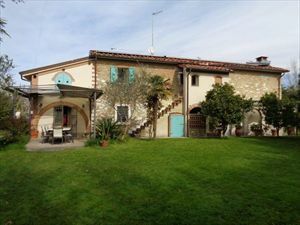 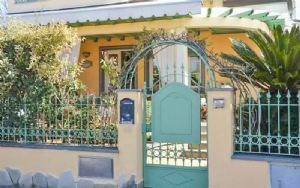 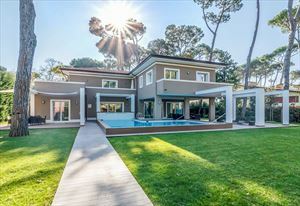 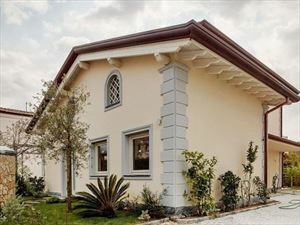 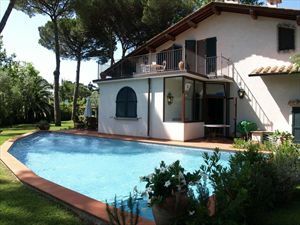 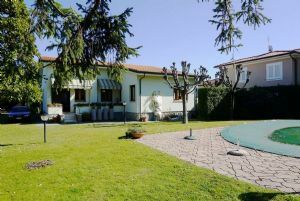 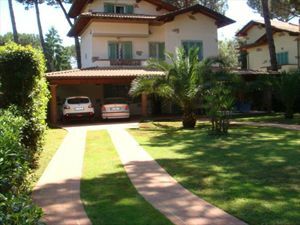 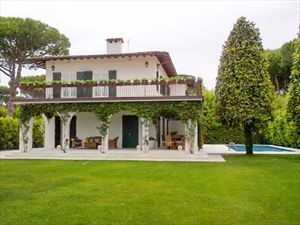 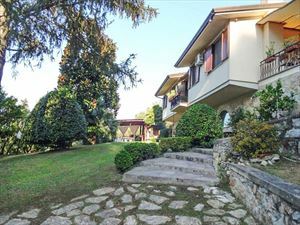 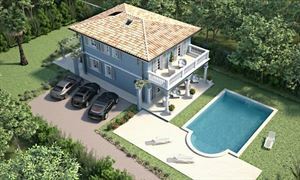 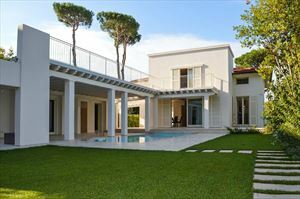 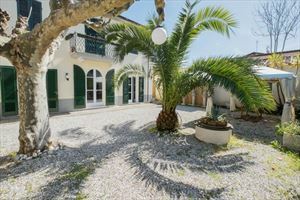 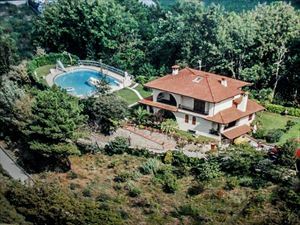 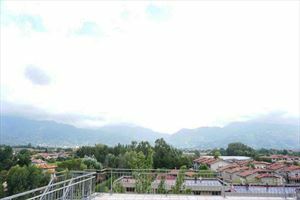 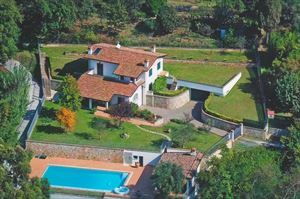 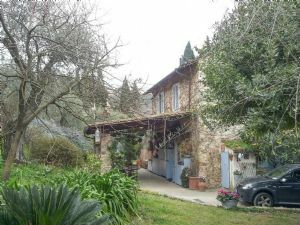 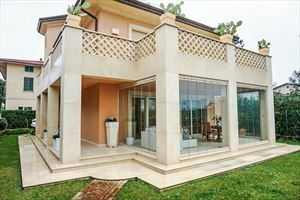 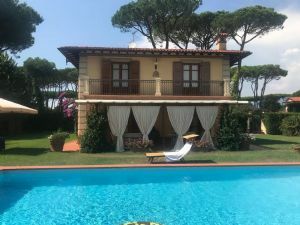 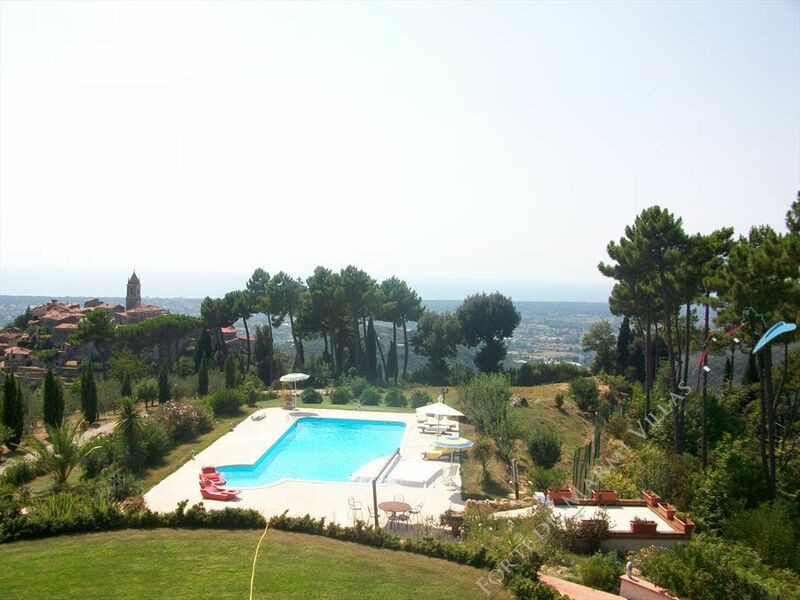 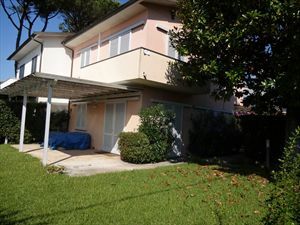 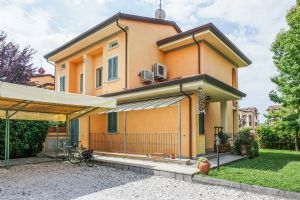 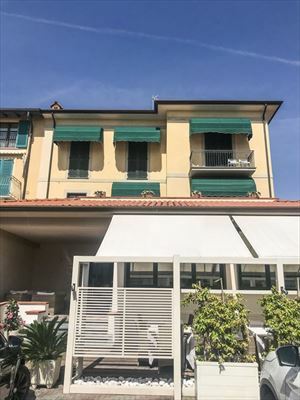 A luxury villa (500 m2) with a large pool and a beautiful garden with olive trees, situated in a picturesque place on the hills of Versilia, between Camaiore and Pietrasanta, at an elevation of 300 meters above sea level. 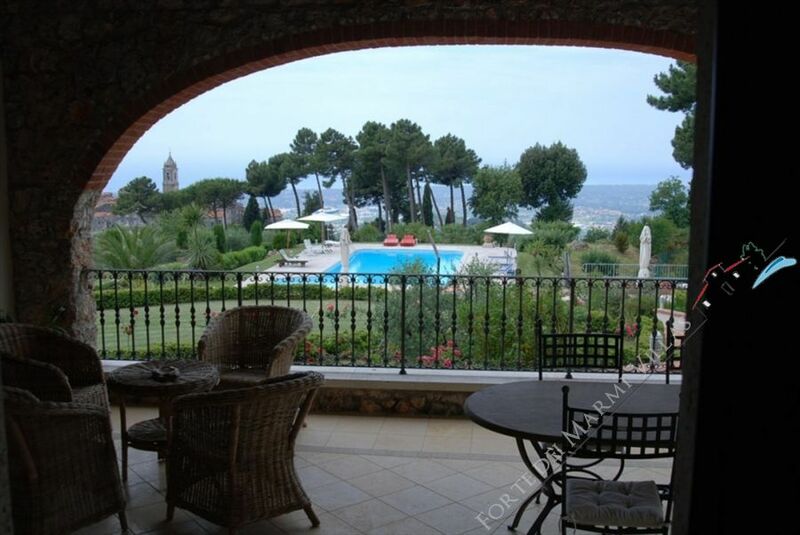 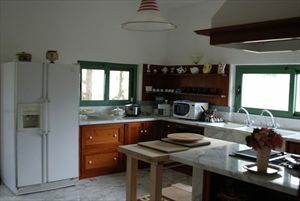 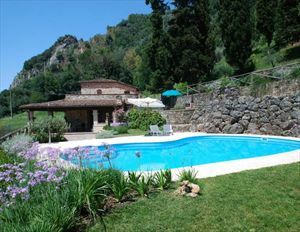 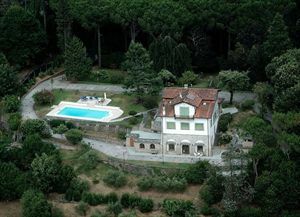 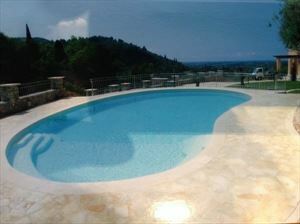 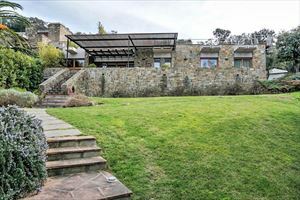 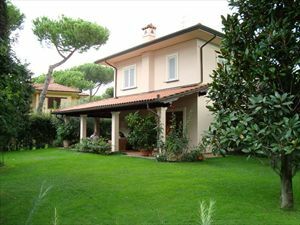 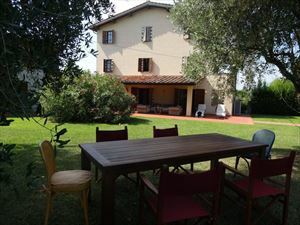 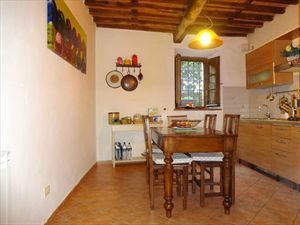 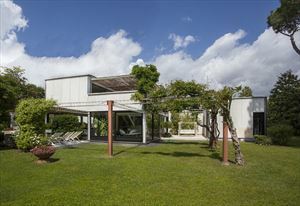 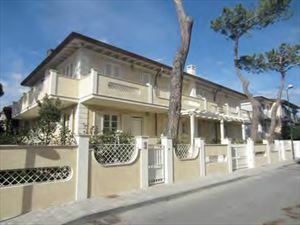 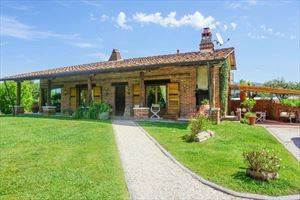 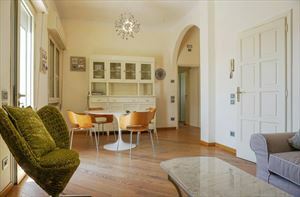 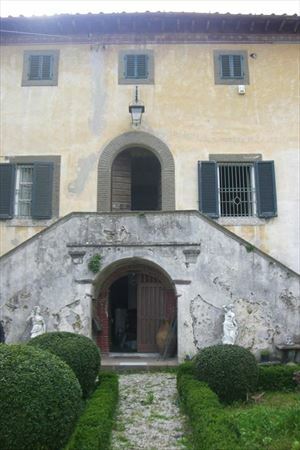 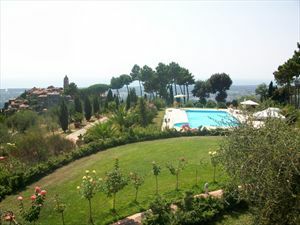 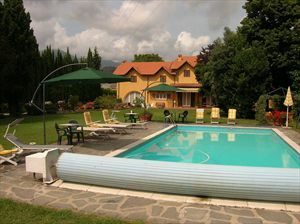 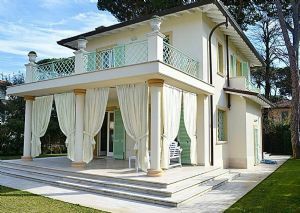 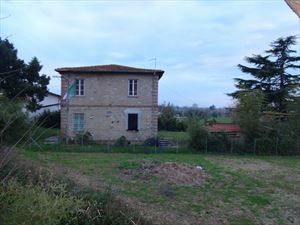 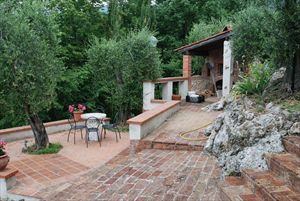 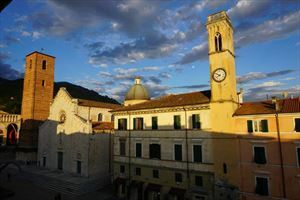 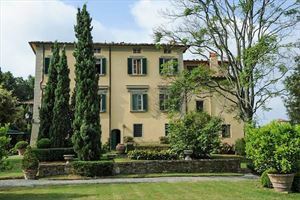 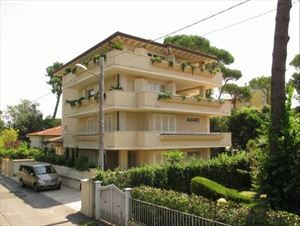 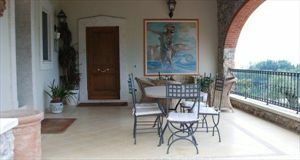 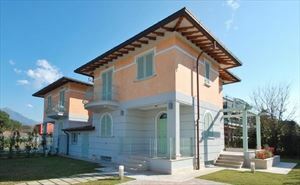 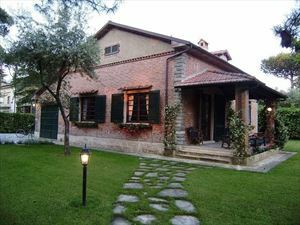 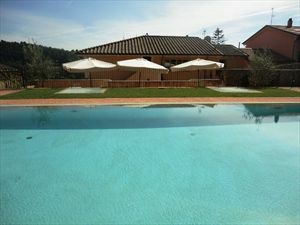 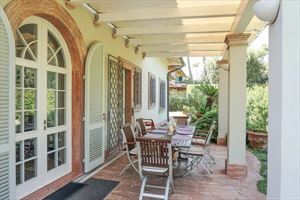 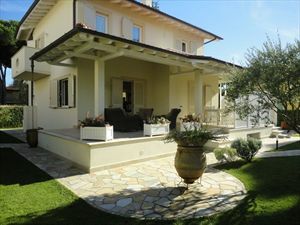 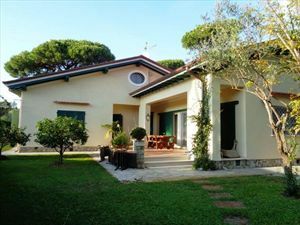 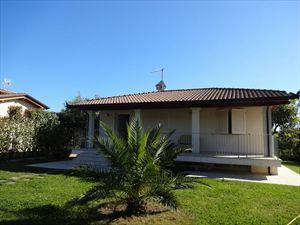 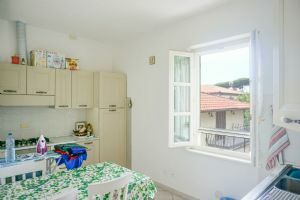 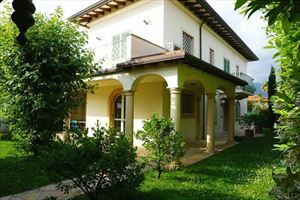 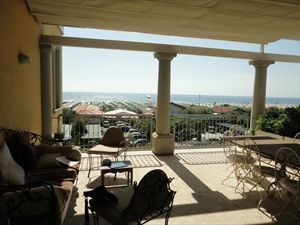 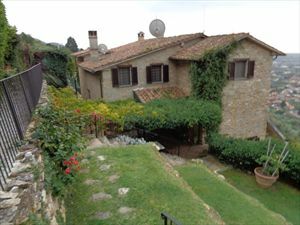 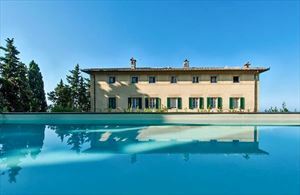 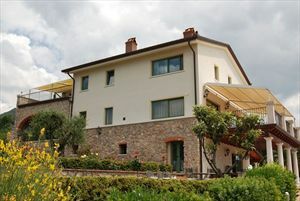 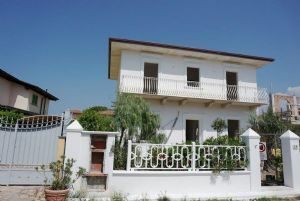 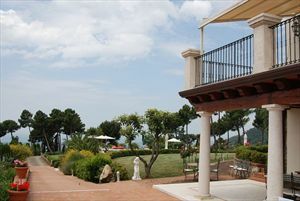 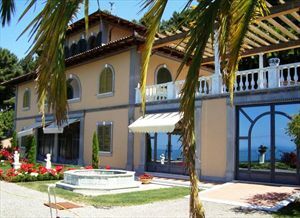 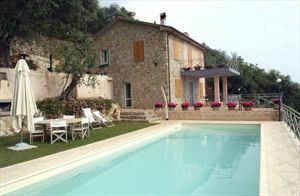 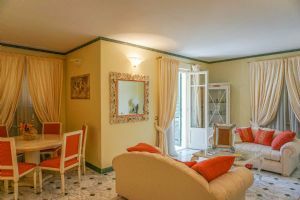 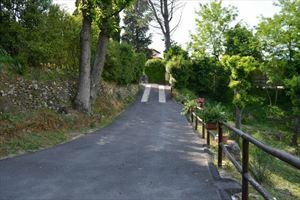 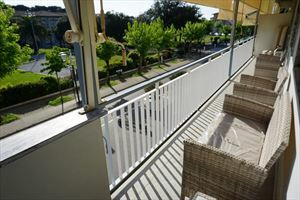 The property enjoys magnificent panoramic views of the sea and the Tuscan landscapes. 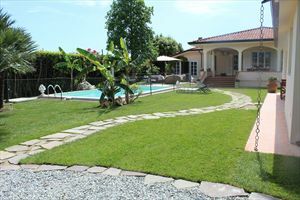 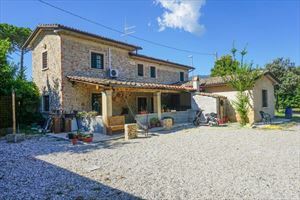 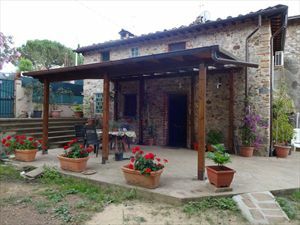 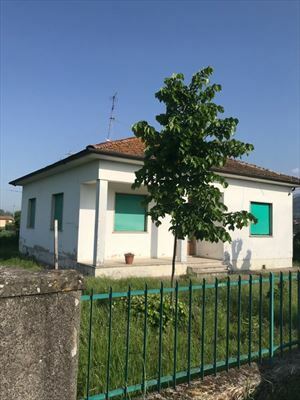 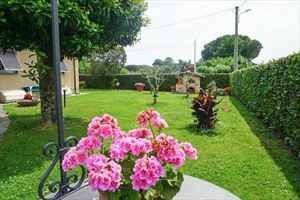 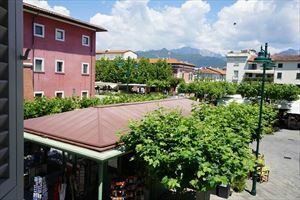 The location of the villa offers tranquility of the countryside and the proximity of Versilian beaches, with their exciting summer life. 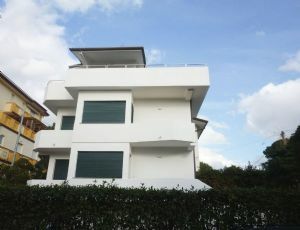 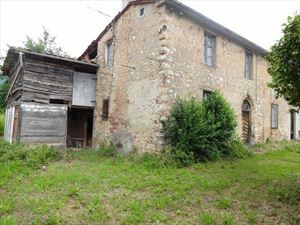 The house consists of 3 levels. 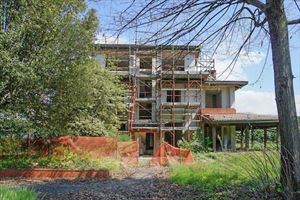 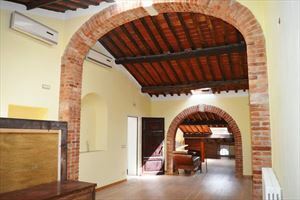 On the ground floor there are two large bedrooms that are currently used as games room and recreation room; a bathroom, utility room and a porch. 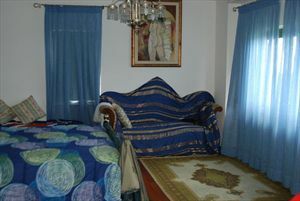 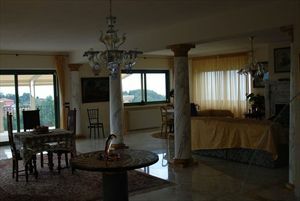 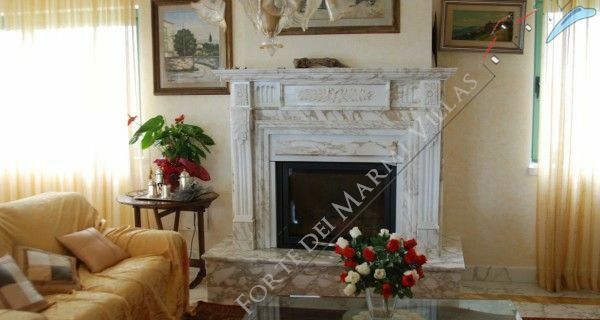 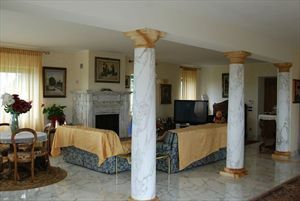 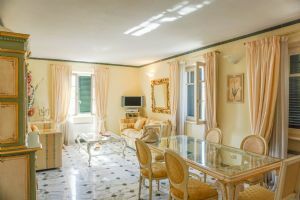 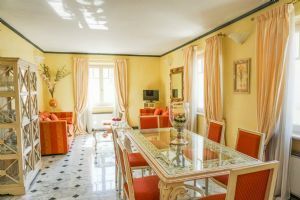 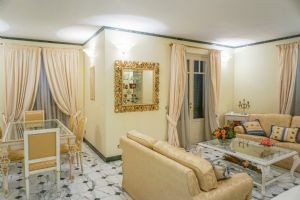 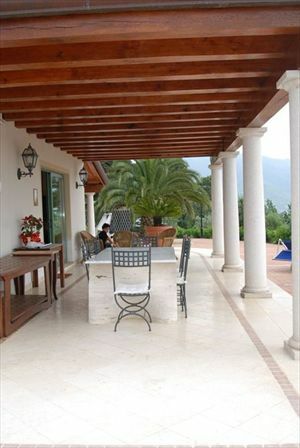 The first floor comprises a living room decorated with elegant columns, dining room, kitchen and bathroom. 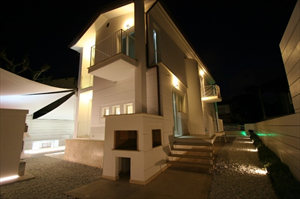 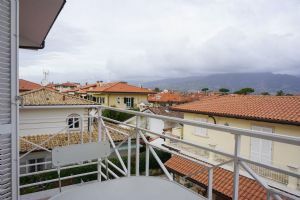 Upstairs, there is a master bedroom with ensuite bathroom and access to the terrace; double bedroom with bathroom; one more bedroom and a bathroom.